*Now seeking Authors for the 2015 Publication. 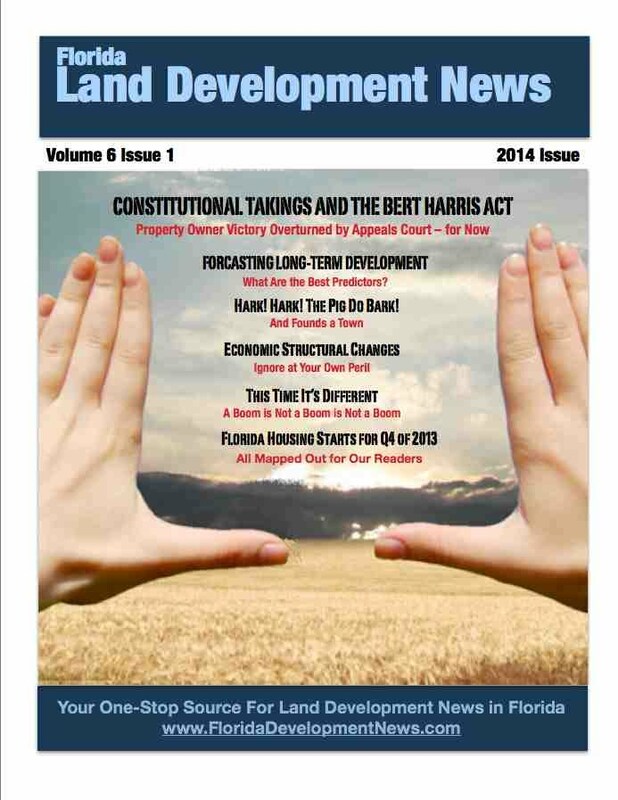 Welcome to the 2014 issue of Florida Land Development News. This issue is long overdue and I appreciate your patience. My consulting business has been quite busy (finally!) since the first quarter of 2013 leaving little time to get this issue out the door so to speak. Many of you thought I had either dropped you from my email list or stopped publishing. Neither is true, but I will tell you I need to drop back from quarterly issues to annual issues . As each issue takes approximately 80 hours to produce, I am no longer able to dedicate that much of my time to create the product you have come to expect. Thank you for being a loyal reader and a special thank you to those that have called and emailed with kind words. One thing is for certain, things have changed. Wayne Falbey offers his thoughts on how the real estate market is different from the last boom. Why are buyers so reluctant to make offers these days? Ronald L. Weaver gives us a sophisticated look at the current status of eminent domain law, as it has been determined by recent court decisions. Case law is always intriguing. It is especially so, as Weaver here analyzes the limits of constitutional taking. Tellers of fortune are held in ridicule by any scientific-minded person. Economic forecasters fare little better. However, one long-term forecaster deserves your serious attention. Dr. Paul Van Buskirk provides a model for a long-term, Warren Buffet approach to planning, while others seem merely to be day-trading. Mike Timmerman. Before Mike started compiling this data for our publication I do not believe anyone else was publishing such a broad list of starts from around the state. Finally, I offer my own thoughts, noting structural changes that have become apparent in our development world that are changing this world of ours forever. If we overlook these changes, we do so at heavy cost. We appreciate each and every one of our readers and we will do our best in trying to keep future issues as informative and interesting as we can. If you wish to recommend a friend, colleague or client be added to our mailing list please ask them to forward their name and email address to us. 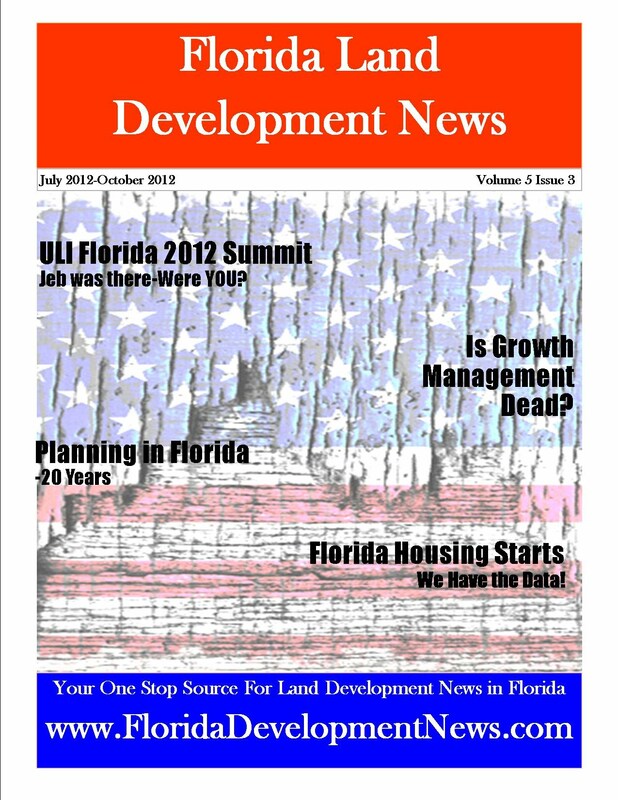 Thanks again for reading and supporting Florida Land Development News.